Greetings and Happy Spring! We did it! Winter is behind us and nothing but blue skies and warm temperatures lie ahead. The unveiling of the provincial budget came as a relief as libraries were granted a 1% increase. We are thankful for the acknowledgement and are looking forward to a fruitful relationship with the provincial government in the coming year. In particular, I look forward to follow-up from the Engagement process, public survey and the recent announcement to develop a public library sector plan. The response by Saskatchewan people indicates that there is much value and concern about our libraries and the many spaces, places, resources and opportunities they provide. who continues to plan and organize so that we have a wonderful and enriching conference experience. 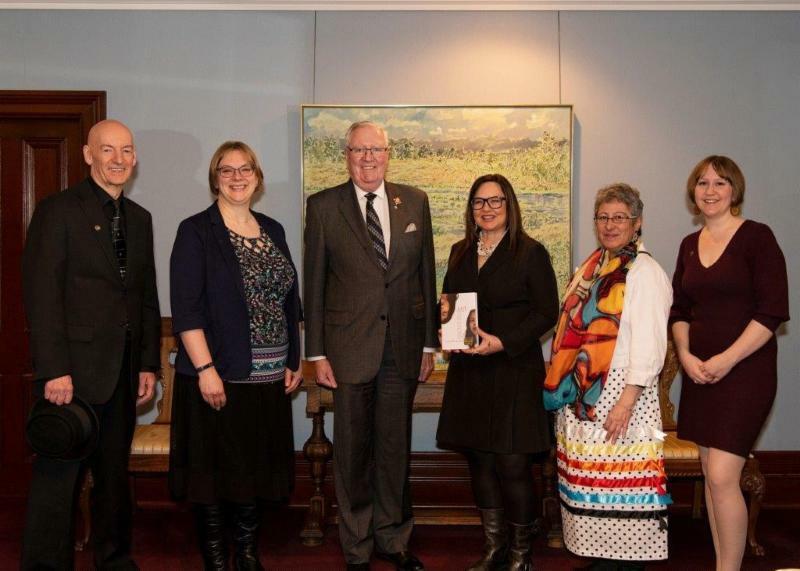 Ray Bell, SLA President Alison Jantz, His Honour, Lieutenant Governor W. Thomas Molloy, Lisa Bird-Wilson, Kokum Brenda Dubois and Tahnis Cunningham at the launch of One Book, One Province Saskatchewan month. Megan Kennedy from the University of Saskatchewan to support attendance at the 2019 WLIU Conference in Winnipeg. Caroline Popadick from North Battleford Public Library to support attendance at the 2019 Alberta Library Conference. Courtney Campbell from Flin Flon Public Library to support attendance at the 2019 SLA Conference in Saskatoon. Sheila Warne-Peter from the Southeast Regional Library to support attendance at the 2019 SLA Conference in Saskatoon. SLA continues to implement the recommendations from the Life Cycles assessment. In April the SLA project leadership team will attend the last group meeting with teams from the Saskatchewan Writers' Guild and the Saskatchewan Elocution and Debate Association, and lead consultant Steve Shack from the Non Profit Life Cycles Institute. The purpose of this meeting is to report progress, share experience and discuss moving forward. We are also working with Dawn Martin, our local consultant to do a one year later presentation at the AGM in May. The 2019 Saskatchewan Libraries Conference is packed with opportunities to meet and mingle. Join us at Rogue Taproom the evening of May 1st for a tour and tasting with other conference-goers. On Thursday, refreshments and prizes will be up for grabs at the Exhibit Hall Social. Later in the evening, the President's Reception will include refreshments and trivia. For a full list of details, check out the Conference Social Calendar. Don't stay up too late reveling in your trivia victory - door prizes will be drawn bright and early on Friday. SLA would like to thank our wonderful sponsors for their generous donations to the 2019 conference: Broadway Theatre, Persephone Theatre, Solar Gardens, Remai Modern, Taverna Italian Kitchen, and Timberjaxe. For more details about door prizes, follow SLA on Facebook or Twitter! Registration Desk: alongside other volunteers and/or staff. These shifts are generally 2 hours. The registration desk will be open the evening of May 1 as well as May 2-3. Photographer: SLA needs good quality photos that can be reproduced in the newsletter, SLAte, and on the website. Session Recorders: This is a great opportunity for those already attending sessions. A session recorder takes notes and writes a summary about the session after the conference. Session Conveners: introduce the speaker(s) at individual sessions, expresses thanks at the end, and handles any needs that come up. May also act as recorder. Technical Support volunteers: set up laptops and projectors for presenters. They are generally "on call" to troubleshoot. Please consider volunteering at this year's SLA conference. Your help would be appreciated. Please indicate if you have a preference for a particular task, date or time of day. 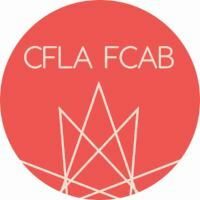 The Canadian Federation of Library Associations (CFLA-FCAB) Indigenous Matters Committee - Comité des Questions Autochtones (IMC-CQA) has been very busy in the last year laying the foundation for implementation of the CFLA-FCAB Truth & Reconciliation Report and 10 overarching recommendations. The committee has been looking at promoting initiatives in all types of libraries to advance reconciliation. By supporting the Truth and Reconciliation Commission (TRC) Calls to Action and promoting collaboration across all Canadian library communities, the IMC-CQA's White Team has developed a survey to allow libraries to report their activities and self-assess their progress. Responses to the survey questions, once compiled, will allow the White Team to compare reported activity against the TRC Calls to Action to identify good practice and detect gaps. All other IMC-CQA working groups and teams will also use these responses to inform their work going forward. The survey is available in English and in French. For more information on the work of the Indigenous Matters Committee, please consult the CFLA-FCAB Indigenous Resources page. This talk was presented at the 2018 Canadian Association of Law Libraries Conference as part of a breakout panel presentation: "Taking the 'Work' Out of Networking: Build Relationships, Not a Stack of Business Cards." It's never too early to start networking. It's been valuable at every stage of my career. Networking helped me identify my professional interests and led me to law librarianship. During my MLIS degree at Western, I wasn't sure which area of librarianship to pursue. I gained career insight by joining a variety of student groups, such as the Progressive Librarians' Guild (PLG) and Canadian Library Association (CLA) student chapters. I also took advantage of conference student rates and attended diverse conferences such as the Ontario Library Association (OLA) conference and the Association of Records Managers and Administrators (ARMA) conference, and by connecting with the wide range of librarians I met at Western. For example, through the PLG I discovered an interest in the law and its intersection with librarianship. Through a student position at a campus library where I had a supportive supervisor, I found I enjoyed providing reference services. In 1984, Marion Sherman retired after serving Wapiti Regional Library for 34 years. To commemorate her service, the Wapiti Regional Library Board created the Marion Sherman Bursary to help promote library work in the province of Saskatchewan. The bursary is open to students currently enrolled in the Saskatchewan Polytechnic Library and Information Technology diploma program. The $750 Marion Sherman Bursary is awarded annually to assist with tuition expenses. See the printable versions of the poster and application form. The deadline for completed applications is Friday, October 4, 2019. Born and lived: I was born and raised in Brazil. I moved to Canada in 2015 for an exchange program at the University of Regina, and have been here ever since! Professional career and activities: I am currently on the final year of an undergraduate degree in Human Justice at the University of Regina. 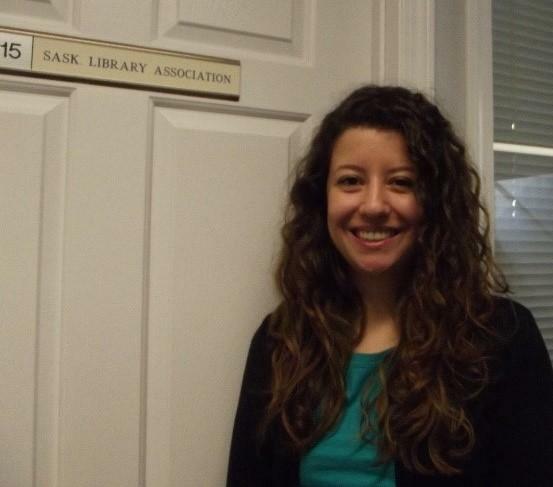 I hold a position as a Research and Administrative Assistant at SLA, where I am fortunate to work with an amazing team! I am also an Assistant Manager at the shoe store Naturalizer, a Teaching Assistant at the University of Regina and a Book Club Coordinator at UR Pride. In my spare time: I am a piano and guitar player and although I do not have much spare time, I love playing and listening to music. 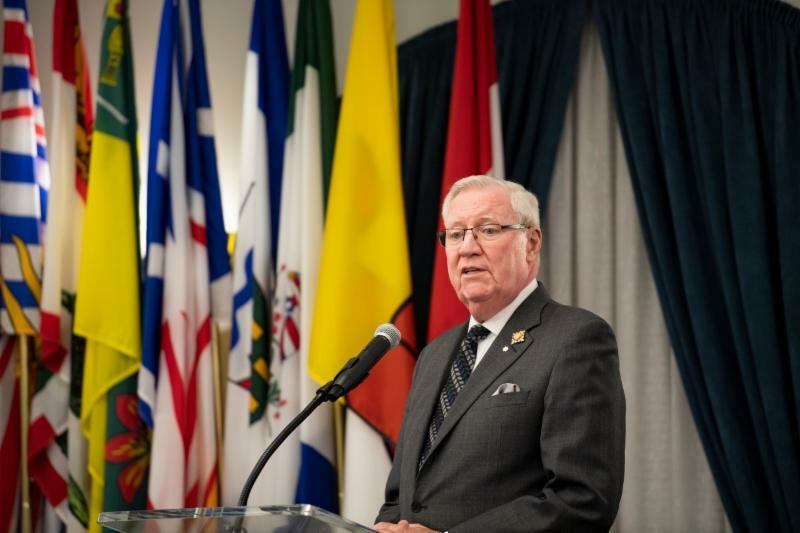 Read the remarks by His Honour, the Honourable W. Thomas Molloy The Lieutenant Governor of Saskatchewan at the One Book One Province launch here. 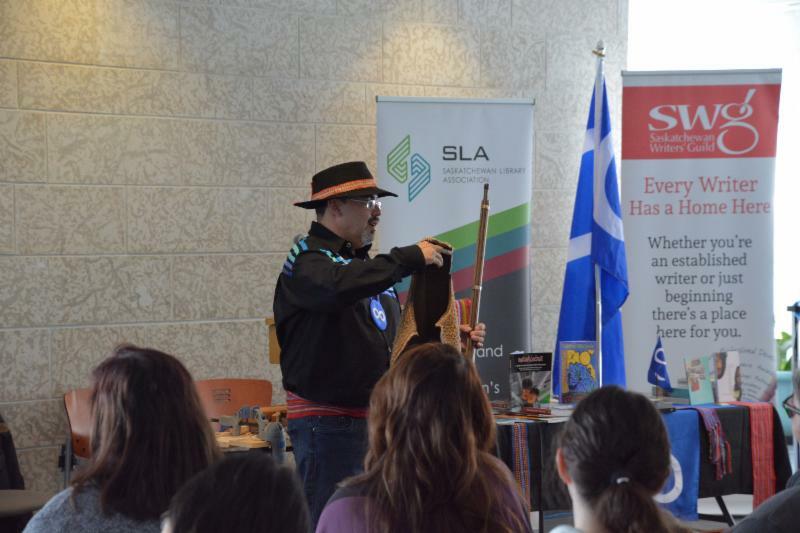 Library Sunrise Branch featuring George Fayant, who offered insights into Métis history and culture while demonstrating the construction of the traditional Red River Cart. To compliment some readings, fiddlers performed, much to the enjoyment of the audience. Thank you to all the host library workers for your hard work and participation. And thank you to Lisa Bird-Wilson, author of Just Pretending, for her willingness to tour and her thoughtful and engaging book. April 17, 2019 is National Canadian Film Day, a day for all Canadians to watch a great Canadian film. It promises to be a great party, with hundreds of events planned in communities across every province and territory. Over the past two years, over 500 libraries across Canada have participated, and we'd like to invite you to join the fun. Click here for more information. ConnectR is a new online tool intended to help people choose their own path toward reconciliation. On December 12, 2018, Library and Archives Canada (LAC) launched Aurora, a new interface to access LAC's published holdings. Read more. The Canadian Commission for UNESCO (CCUNESCO) is recruiting new members for the Canadian Advisory Committee for Memory of the World. The Canadian Advisory Committee for Memory of the World is responsible for ensuring the overall management and supervision of the program. The application form is available in English and French. Join Devin Krukoff for an in-depth discussion of and reading from his latest novel, Hummingbird at the George Bothwell Library on April 24th. Saturday, April 27, 5:00 - 9:00 p.m. Celebrate the 26th Saskatchewan Book Awards Ceremony with this year's shortlisted authors and publishers! Enjoy the anticipation as they wait to find out who will win this year's 14 awards, including the prestigious Book of the Year Award. The ceremony will be hosted by Victor Sawa, one of Canada's top music conductors. The evening will feature a special performance from Terrance Littletent, who will share his incredible hoop dancing with the audience. You'll enjoy door prizes, book sales, a silent auction, and more! Rosemary Griebel, featuring her poem "Walking with Walt Whitman through Calgary's East Side on a Winter Day"
Gregory Scofield, featuring his poem "The Sewing Circle"
For more information, please contact Hughena Matheson at president@projectbookmarkcanada.ca or (905) 634-7516. 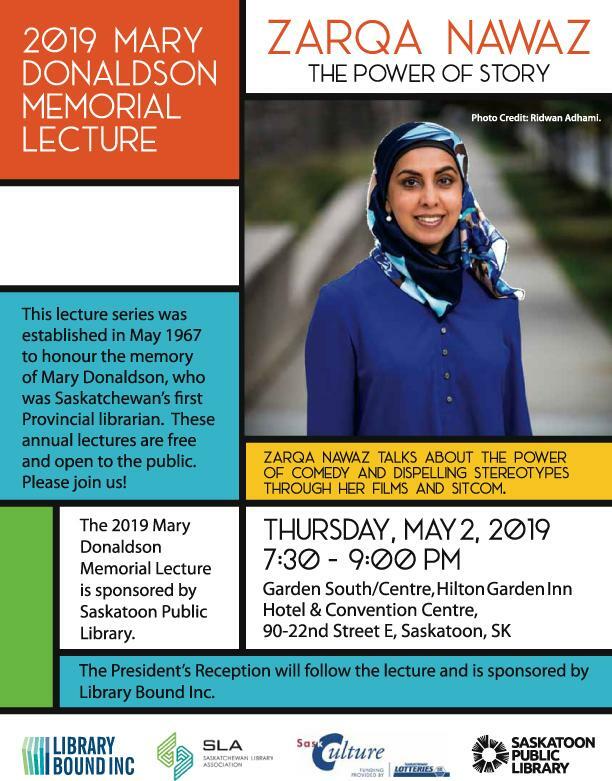 The Saskatchewan School Library Association is hosting author Ruth Culham on April 11, 2019 in Saskatoon and on April 12, 2019 in Regina. Please refer to their website for more information. The ABC Copyright 2019 Conference will be held in Saskatoon, Saskatchewan, from May 30 to 31, 2019. The theme of this year's conference is "Negotiating Copyright: Local, National and Global Contexts." Registration is now open! Details are available here. Heritage Saskatchewan latest newsletter is available here. Check out Libraries Transform newsletter here. Click here for the E-Phemera newsletter. The Museums Association of Saskatchewan newsletter is here. Wapiti Regional Library Newsletter is here. Check out the Estevan Public Library Newsletter here. The North Battleford monthly newsletter and program guide is here.